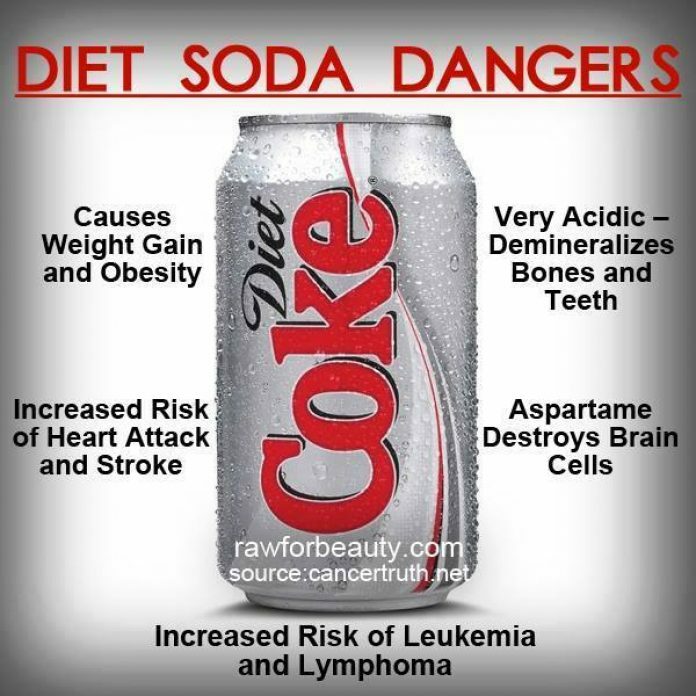 HomeHealthAre Diet Sodas Making You Fat? Experts are warning that dieters who opt for low-calorie fizzy drinks to help with their weight loss efforts, may see their waistlines expand instead. The Mail Online reports: Scientists at the University of Texas examined the lifestyles of 749 Mexican-American and European-American people, over the course of nine years, in which 466 participants survived. They tracked the number of fizzy drinks each person consumed, and whether or not they were diet drinks. They found those who indulged in at least one diet drink a day gained at least three inches to their waistlines. The participants were interviewed at the beginning of the study and at three follow-up visits, where researchers measured their waist circumferences and other parameters. Of those who said they never consumed diet fizzy drinks, waist circumference increased by less than one inch over the nine-year study period, said Sharon Fowler, one of the study’s lead authors. Among those reporting occasional consumption – drinking less than one diet soda a day – waist circumference increased by around two inches. And for the group who said they consumed diet fizzy drinks every day, often more than once a day, waist circumference increased by more than three inches. Past studies have highlighted the dangers of accumulating fat around the waist. Researchers have linked visceral fat – that which builds up around internal organs – with increased inflammation and risk of metabolic disease, diabetes, heart attack, stroke, cancer and mortality. Dr Fowler said: ‘Because the study measured waist circumference as well as total weight, we were able to look at what happened to participants’ abdominal obesity. 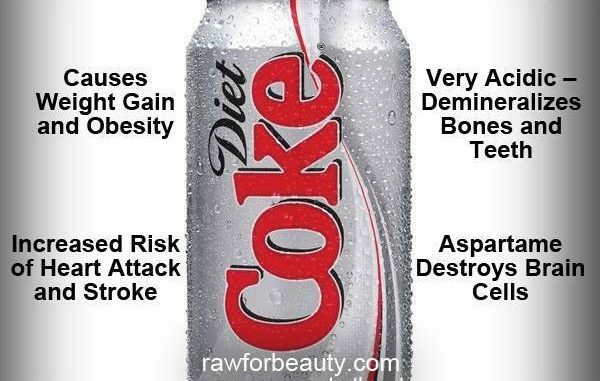 ‘The increases in abdominal fat were more than three times as great in daily diet soda users as in non-users. In 2008 the same scientists published research which looked at the association between drinking artificially sweetened drinks, and long-term weight gain in participants. They found that among more than 3,600 25 to 65-year-old Mexican-Americans and European-Americans followed for seven to eight years, body mass index and the risk of obesity rose consistently the more artificially sweetened drinks a person consumed. As part of the new study, the researchers adjusted statistically for a large number of variables that could have affected the findings, including initial waist size, exercise level and whether the participant had diabetes or smoked. ‘Even when you adjust for those things, you have this independent effect of diet soda consumption on waist circumference change over time,’ senior author, Dr. Hazuda said. ‘There is definitely debate about whether the association between diet soda intake and cardiometabolic risk, which has been detected in several large observational studies, is based on an actual causal relationship,’ Dr Fowler added. ‘We are simply reporting the statistical association we found: that, over almost a decade, waist circumference increased significantly, in a dose-response manner, with increasing diet soda intake in this group of older individuals.